The simplest idea to get a perfect polar alignment is just to find the true Pole point and match its position with the rotation center of the RA axis. QHYCCD's PoleMaster employs this idea. This device can be installed on front of the RA axis, it use a highly sensitivity camera to capture the image of sky. The sensitivity is much higher than the naked eye, so it can see not only the lighter stars (like the Polaris) but also some faint star nearby. Based on the locations of these stars, it can calculate the Pole position. Thanks to sophisticated algorithms, the PoleMaster can also detect the rotation center of the RA axis. It will mark the two point on the screen: you will adjust the mount position and let them overlap to get a perfectly Pole alignment. Together with PoleMaster you can find a useful USB pen with all the driver and software, together with our "Polemaster installation and use tutorial" (in italian and english language, PDF format). 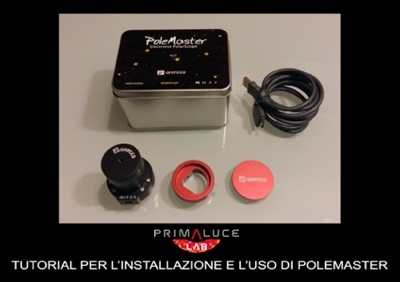 This tutorial is very important since it shows, step by step and with a lot of pictures, not only how to properly install the PoleMaster on the mount but also how to use the included software. Fast, Easy and Comfortable: You do not need to rotate the telescope to some positions to allow the polar scope to see the sky. You do not need switch off all the lights and observe through the polar scope carefully to find the pole star. You do not need to input the date and time, and rotate the mount to a strange angle. High precision: The pixel resolution of this PoleMaster is approx. 30 arcsec/pixel. The image sensor is much more precise and sensitive than the naked eyes. In best condition, it can get pole precision down to 30 arcsec. Wide field: Easy to find the North Star. The PoleMaster has a 11x8 degree field of view. You can find the North Star easily. It can be installed on any mount: PoleMaster can installed on any mount with a suitable connector. Even if your mount has no polar scope, it doesn’t matter. Pole Monitor/align at any time: with PoleMaster you can monitor the polar alignment at any time. When the mount is moved by accident, you can adjust it back directly without redo the whole process. 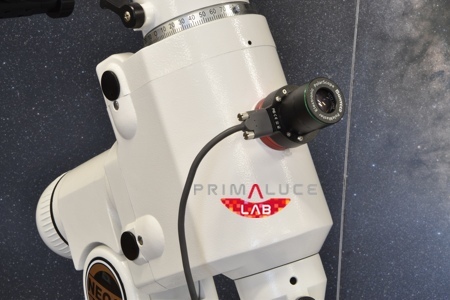 No Need 3-Star Calibration Anymore: After alignment with PoleMaster, your mount does not need 3-star calibration anymore. Just using the 1-star calibration or single star sync you can get your mount ready for GOTO. It supports both north and south hemisphere. 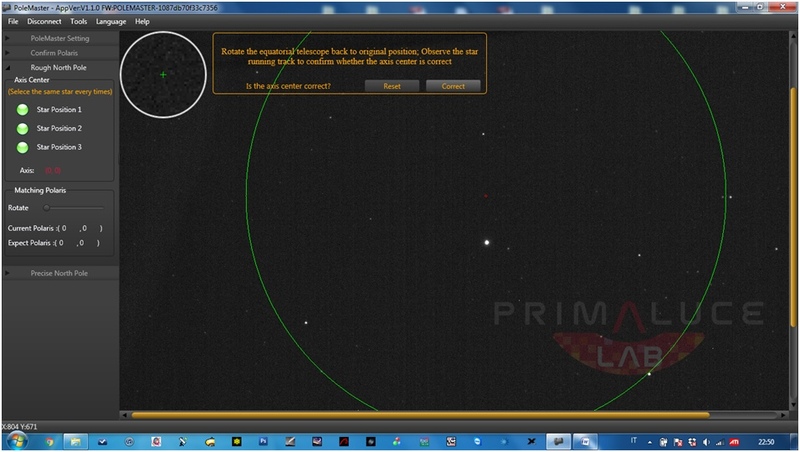 PoleMaster comes with a simple to use software (for Windows computers) that allows you to perform the polar alignment observing the image directly on the computer screen.